If you’re preparing for something big that will happen in your life, it goes without saying that you should spend some time planning it. As time passes, technological advancements give us more and more opportunities to beautify anything we may wish to change somehow about our body. Skin treatments are the prime example where technology and experience combine to facilitate access to healthy and good looking skin. You may choose an acne treatment, skin lifting, sunspot treatment or even permanent makeup. However, no matter the treatment, you need to take certain steps to be well prepared for the whole process. 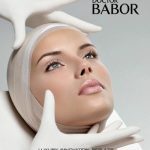 It doesn’t matter which treatment you’ve chosen, it’s really important to dedicate some time to yourself and your skin. The optimal time for this is up to 4 days before the whole treatment. Be sure to book your treatment in advance, at least a week in advance, so that you’re in the position to plan around it. Another thing to remember is to ask for advice from your aesthetician or doctor regarding your specific treatment. Unless you’re planning a facial or something pleasant of the kind, it would be a good idea to consult your doctor regarding additional options. Lasers or fillers can cause discomfort, so it would be for the best to find any possible way around it. Ask your doctors about numbing creams and ice packs and put your faith and comfort in the hands of the professionals. Take time to reconsider the fact that sometimes the harsh ingredients from the products you use at home may cause more harm than do anything good when applied before a skin treatment. That’s precisely why it would be a smart idea to stop applying them at least 3 days before your treatments. It doesn’t matter if the product has proven to be helpful in the past; perhaps some of the ingredients you apply may turn out to be bad for your skin when combined with a treatment. Just keep it simple and use the essentials. Better safe than sorry! So, now you’re ready for your treatment! Just remember that there’s nothing to be afraid of when you have a complete access to all the information you need. Talk to your doctor about any questions you may have and make sure that you’ll have enough time to plan everything out!